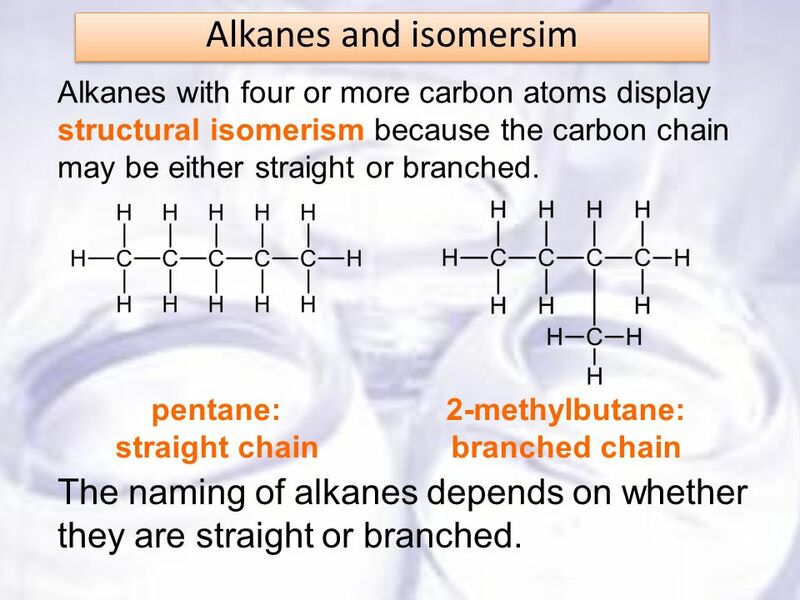 Alkanes and isomersim Alkanes with four or more carbon atoms display structural isomerism because the carbon chain may be either straight or branched. 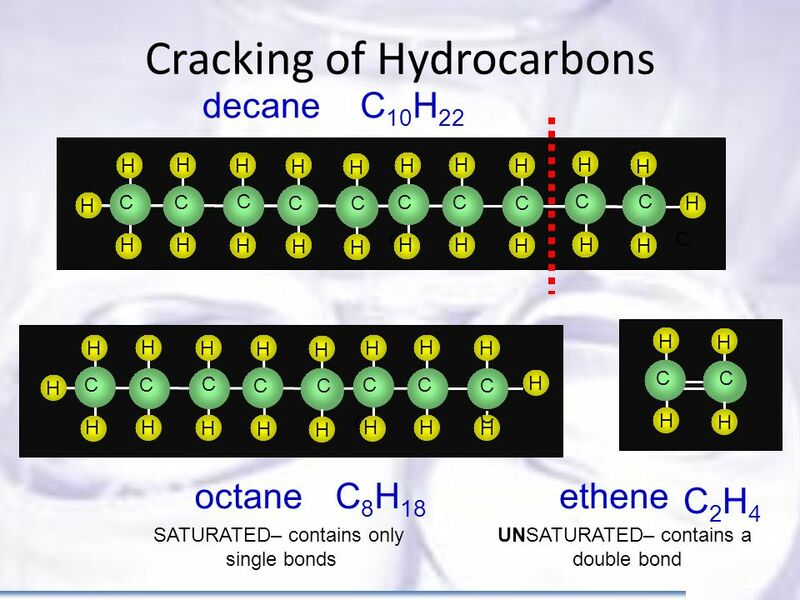 pentane: straight chain 2-methylbutane: branched chain The naming of alkanes depends on whether they are straight or branched. 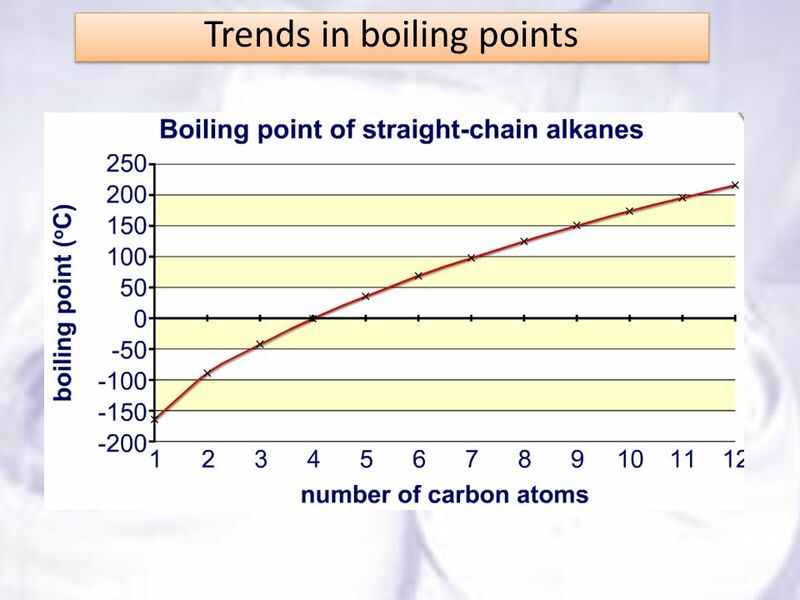 The boiling point of straight-chain alkanes increases with chain length due to increasing van der Waals forces between molecules. 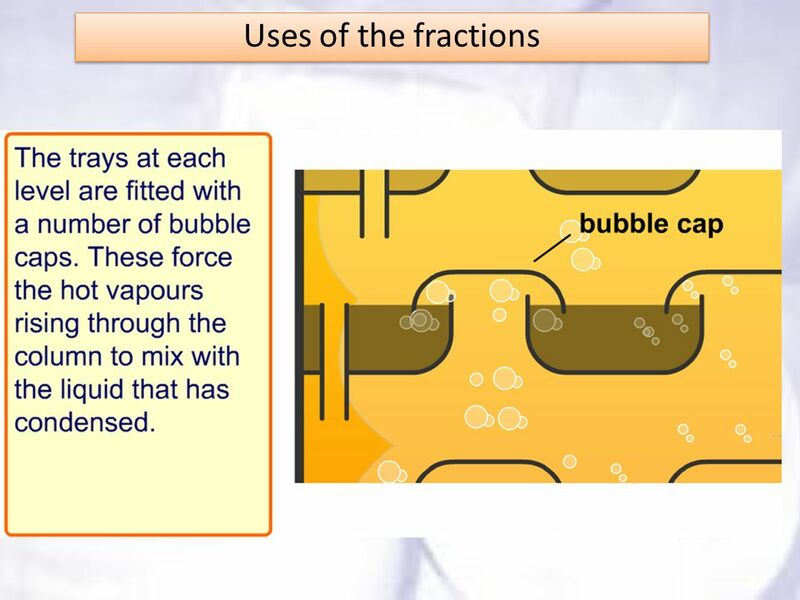 As the length of the chain increases, so does its surface area, and so the van der Waals forces are stronger. 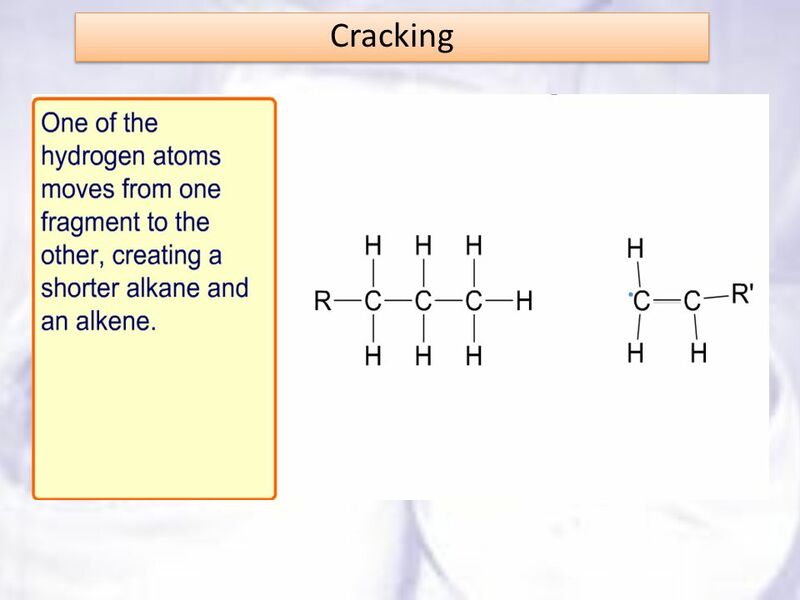 Branched-chain alkanes have lower boiling points because the chains cannot pack as closely together. 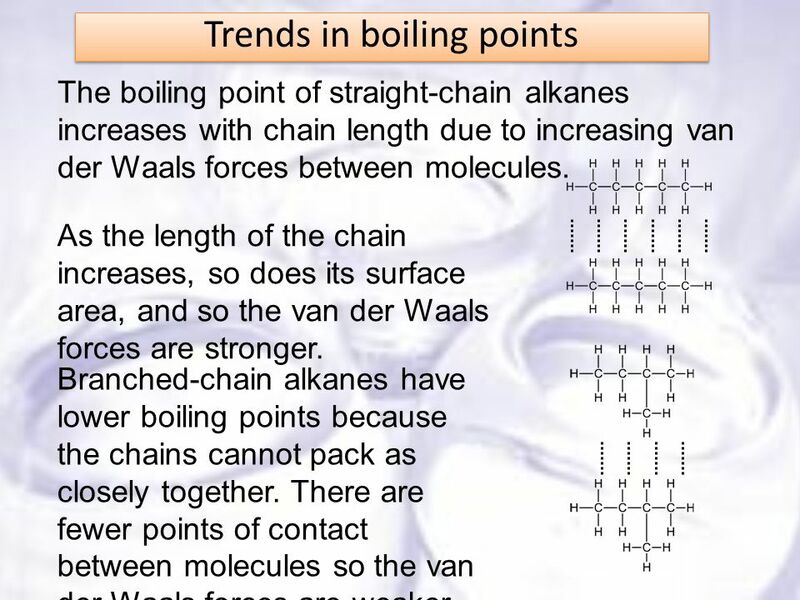 There are fewer points of contact between molecules so the van der Waals forces are weaker. 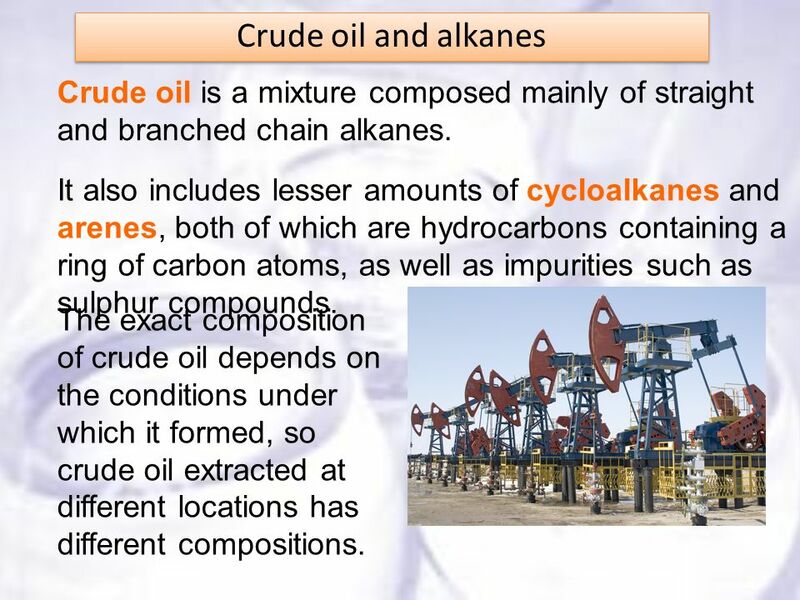 5 Crude oil and alkanes Crude oil is a mixture composed mainly of straight and branched chain alkanes. 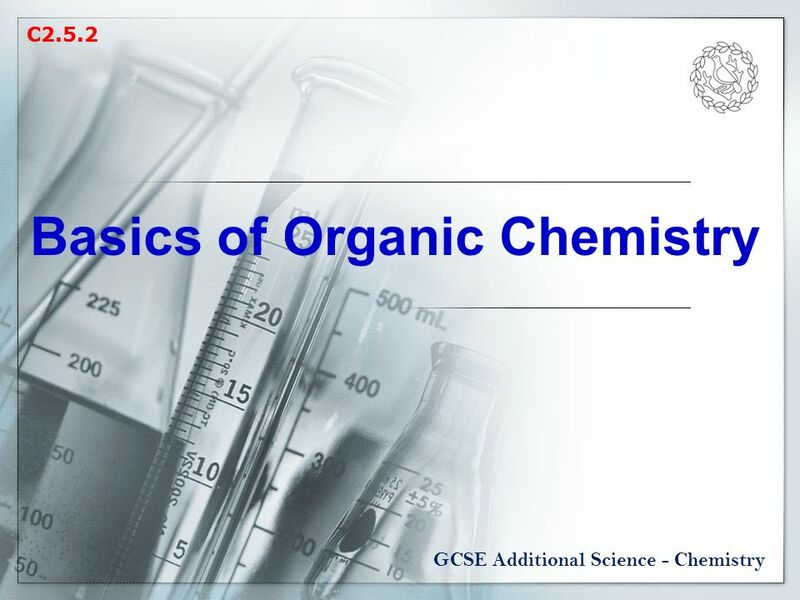 It also includes lesser amounts of cycloalkanes and arenes, both of which are hydrocarbons containing a ring of carbon atoms, as well as impurities such as sulphur compounds. 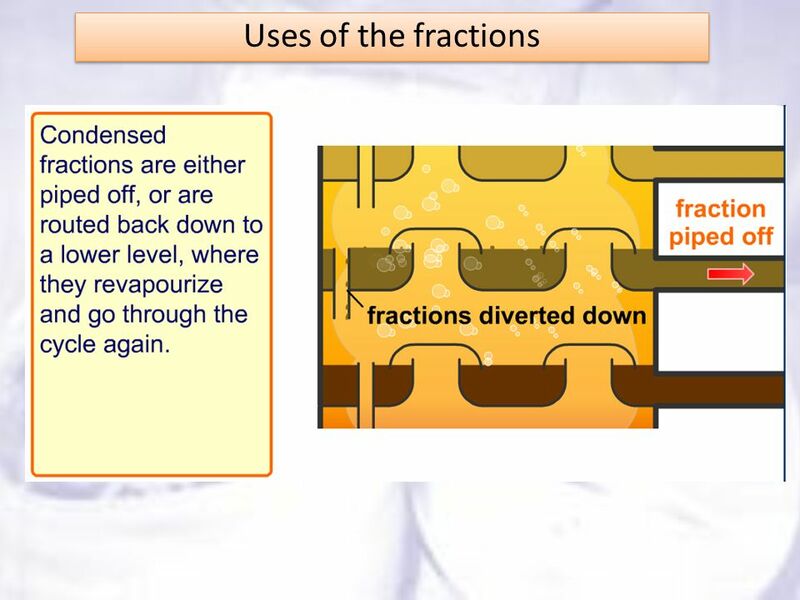 The exact composition of crude oil depends on the conditions under which it formed, so crude oil extracted at different locations has different compositions. 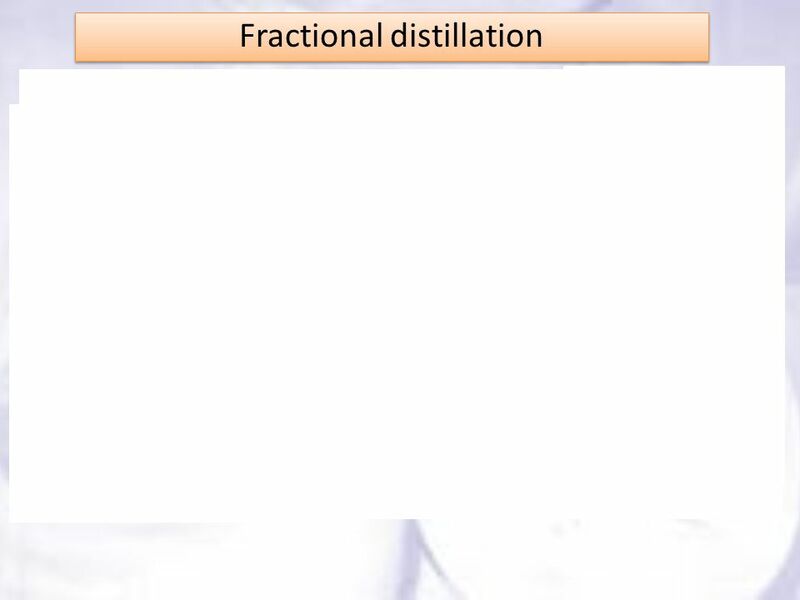 What is distillation? 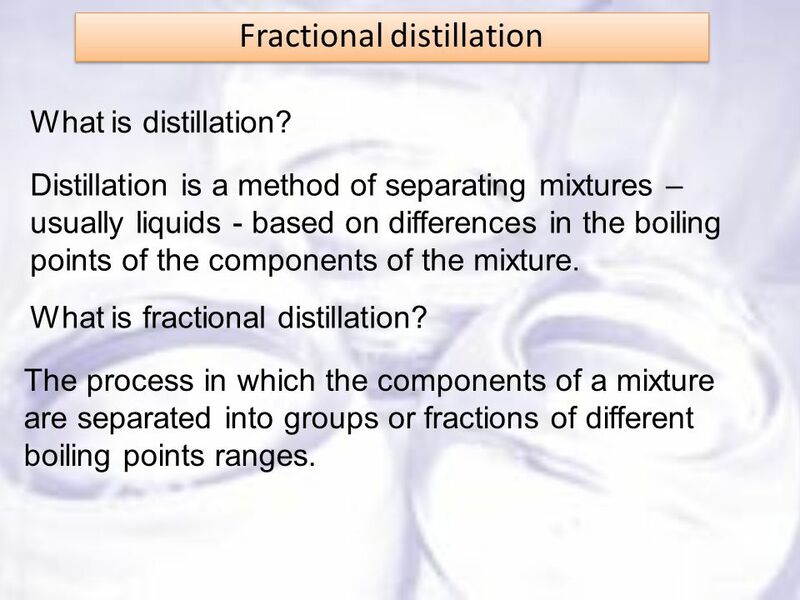 Distillation is a method of separating mixtures – usually liquids - based on differences in the boiling points of the components of the mixture. 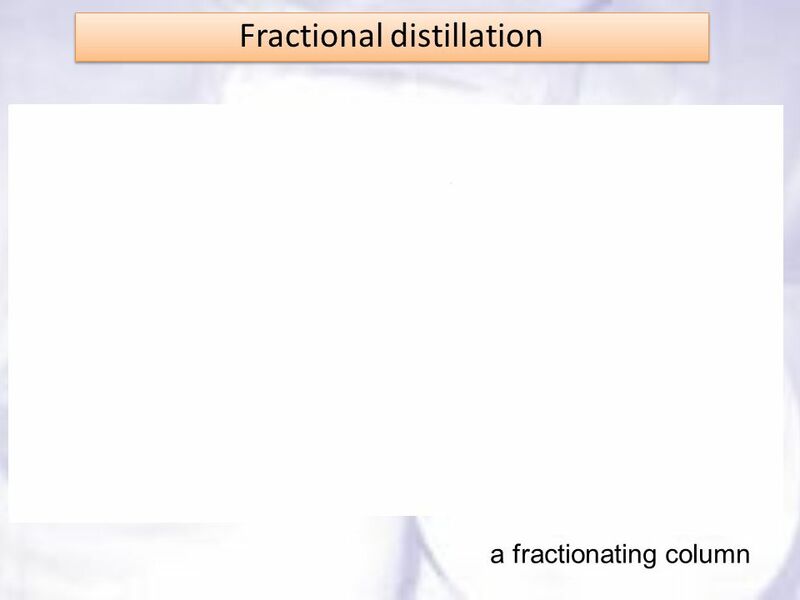 What is fractional distillation? 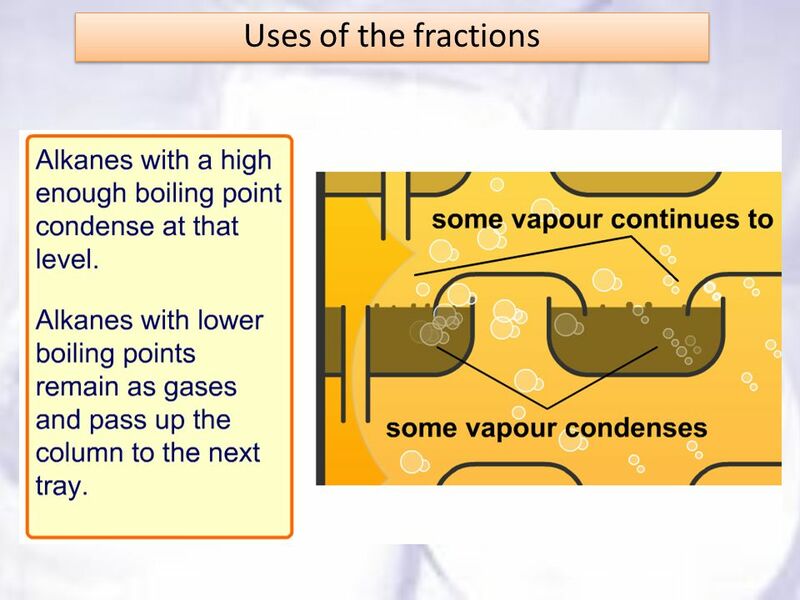 The process in which the components of a mixture are separated into groups or fractions of different boiling points ranges. 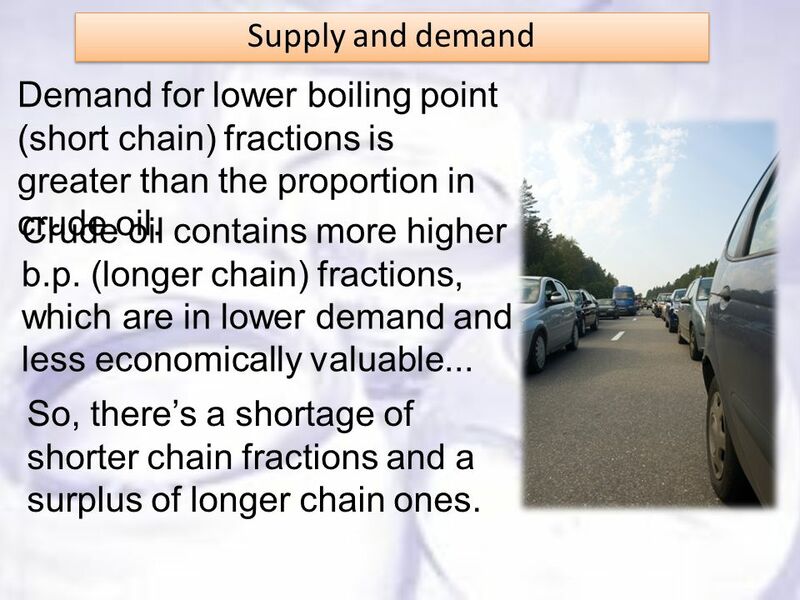 23 Supply and demand Demand for lower boiling point (short chain) fractions is greater than the proportion in crude oil. 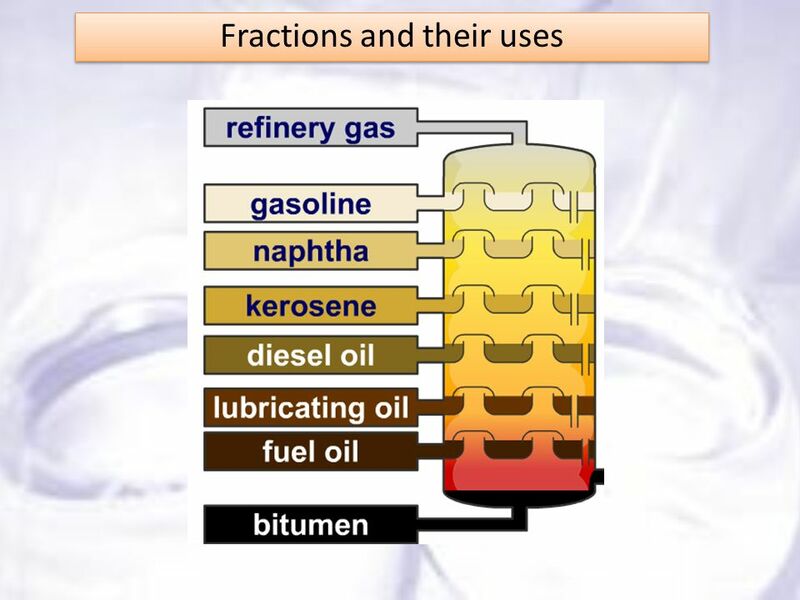 Crude oil contains more higher b.p. 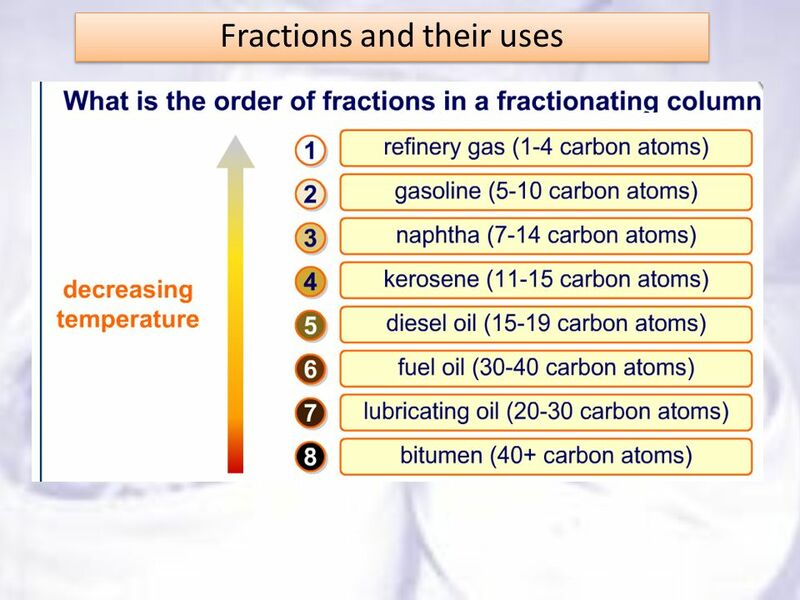 (longer chain) fractions, which are in lower demand and less economically valuable... So, there’s a shortage of shorter chain fractions and a surplus of longer chain ones. 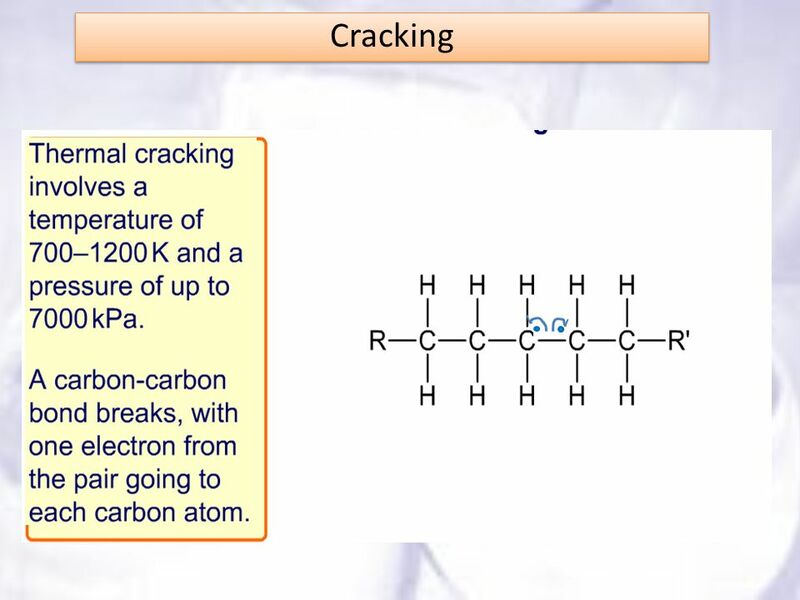 24 What is cracking? 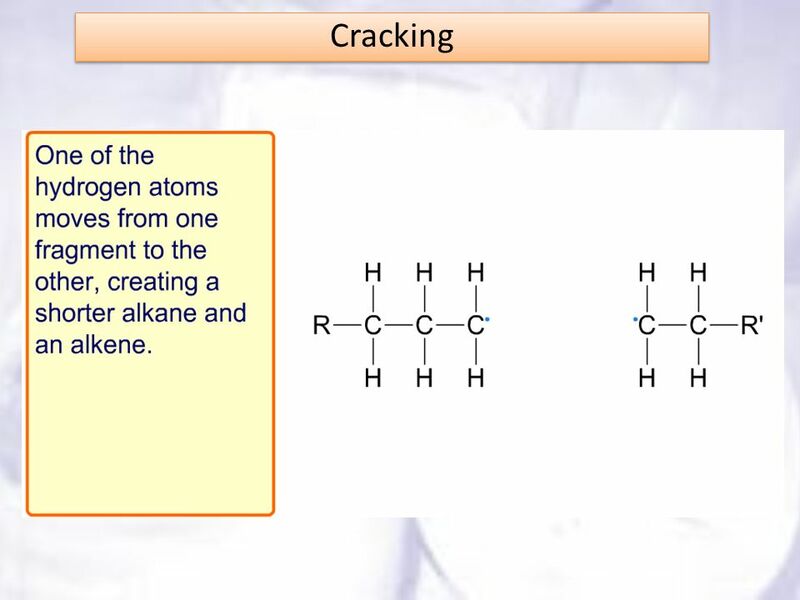 Cracking is a process that splits long chain alkanes into shorter chain alkanes, alkenes and hydrogen. 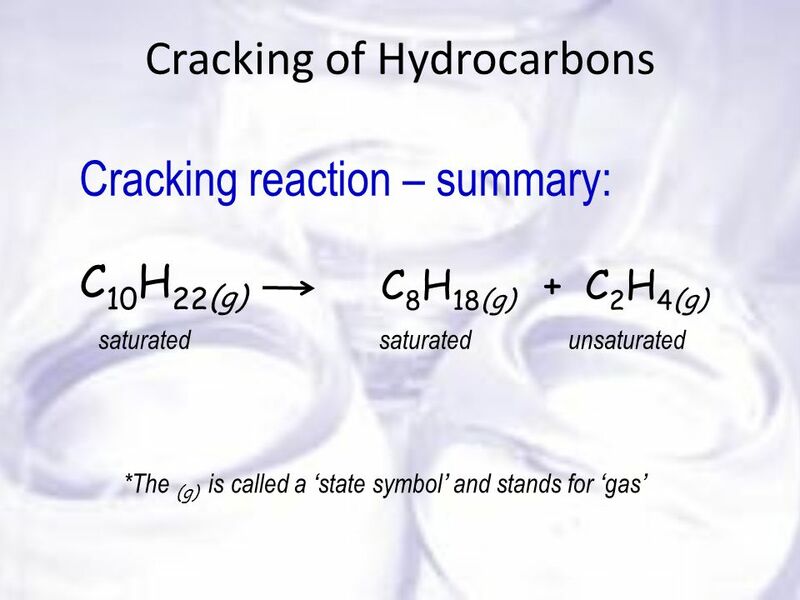 C10H22 → C7H C3H6 Cracking has the following uses: it increases the amount of gasoline and other economically important fractions it increases branching in chains, an important factor for petrol it produces alkenes, an important feedstock for chemicals. 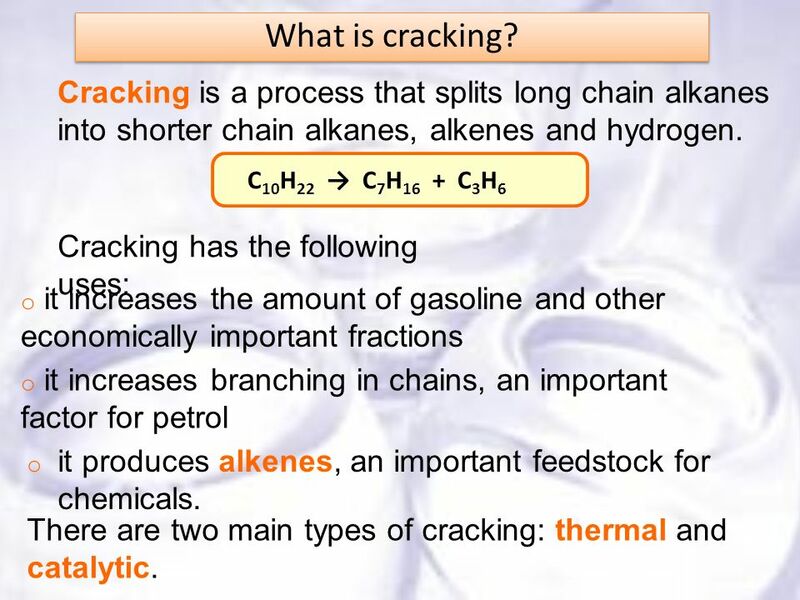 There are two main types of cracking: thermal and catalytic. 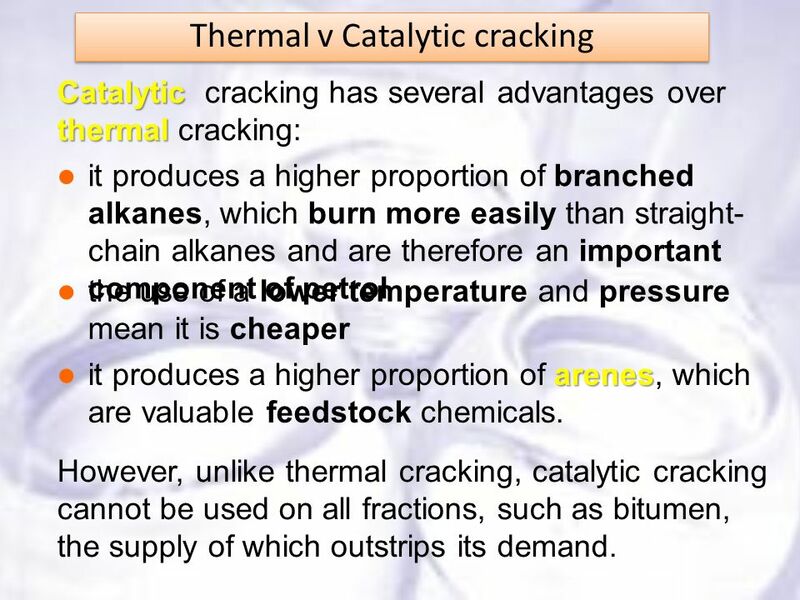 Catalytic cracking has several advantages over thermal cracking: it produces a higher proportion of branched alkanes, which burn more easily than straight-chain alkanes and are therefore an important component of petrol the use of a lower temperature and pressure mean it is cheaper it produces a higher proportion of arenes, which are valuable feedstock chemicals. 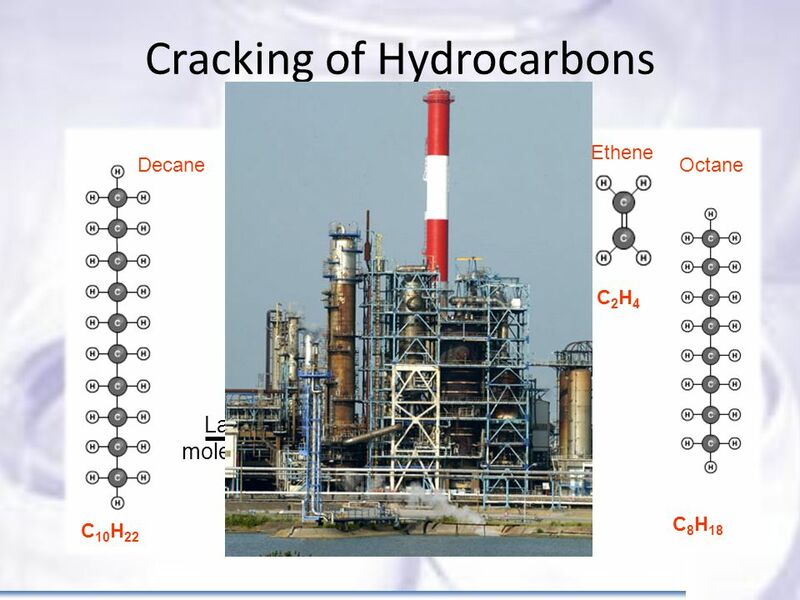 However, unlike thermal cracking, catalytic cracking cannot be used on all fractions, such as bitumen, the supply of which outstrips its demand. 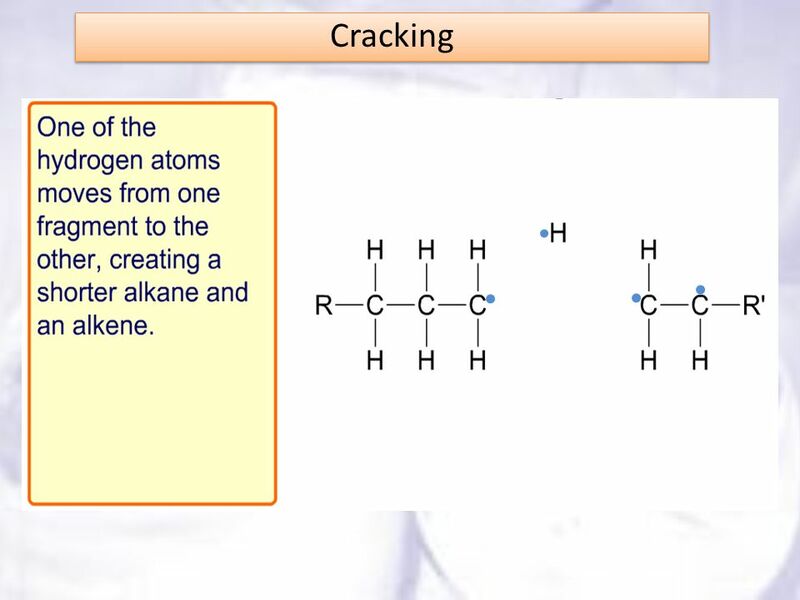 Alkenes such as ethene are always produced in cracking. 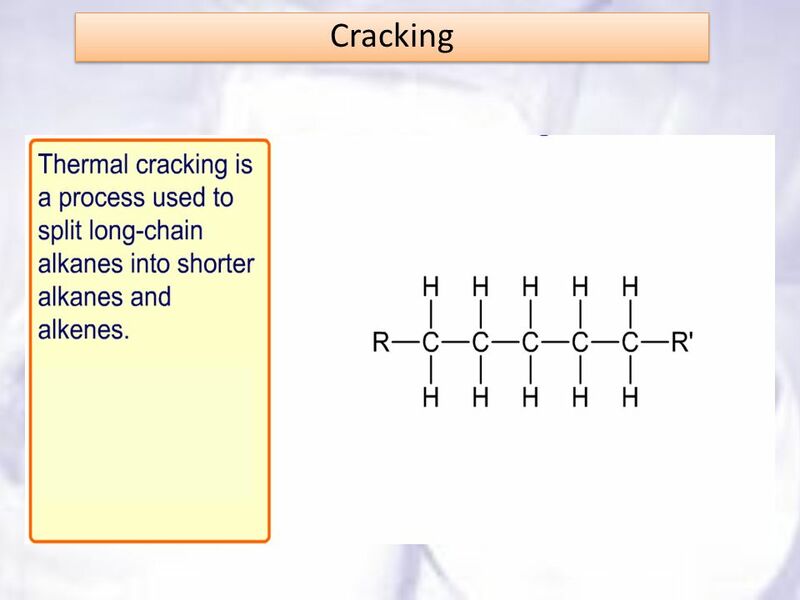 They are an important feedstock for use in the chemical industry, particularly in the production of polymers. 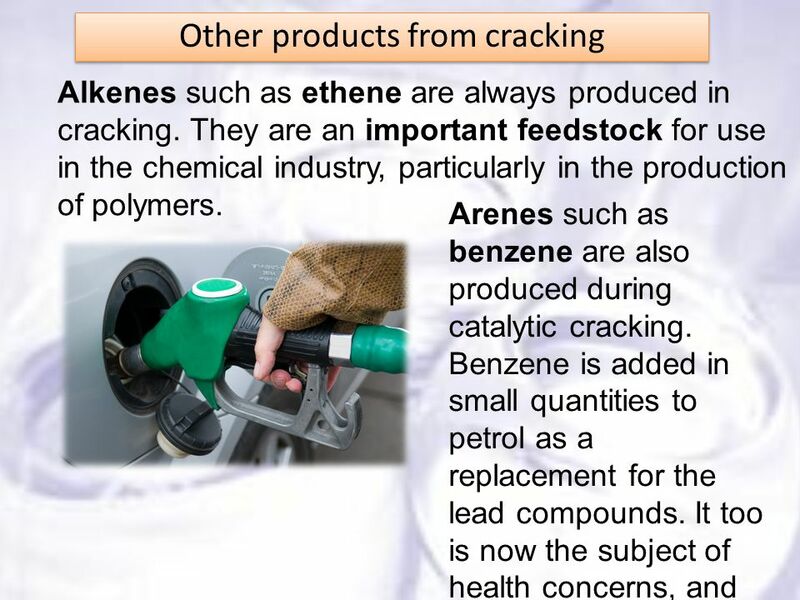 Arenes such as benzene are also produced during catalytic cracking. 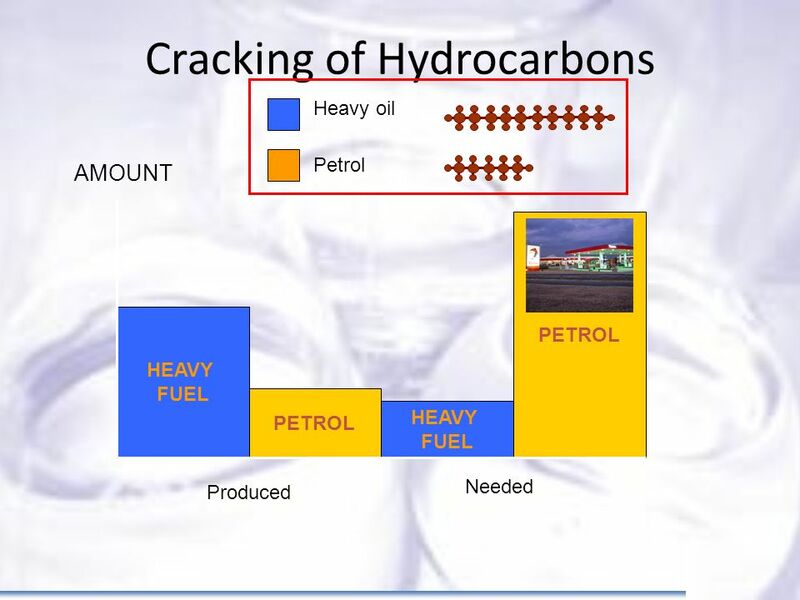 Benzene is added in small quantities to petrol as a replacement for the lead compounds. It too is now the subject of health concerns, and its use is being reduced. 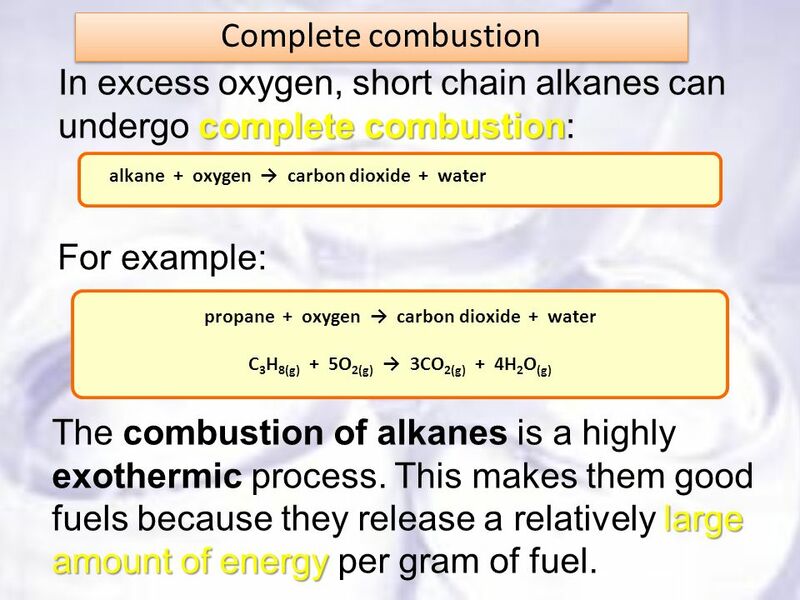 In excess oxygen, short chain alkanes can undergo complete combustion: alkane + oxygen → carbon dioxide + water For example: propane + oxygen → carbon dioxide + water C3H8(g) + 5O2(g) → 3CO2(g) + 4H2O(g) The combustion of alkanes is a highly exothermic process. 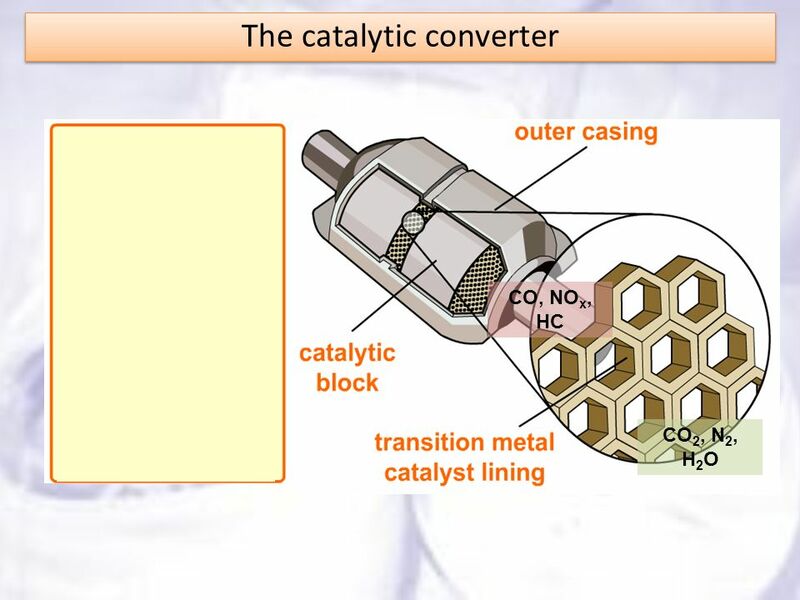 This makes them good fuels because they release a relatively large amount of energy per gram of fuel. 43 What is acid rain? 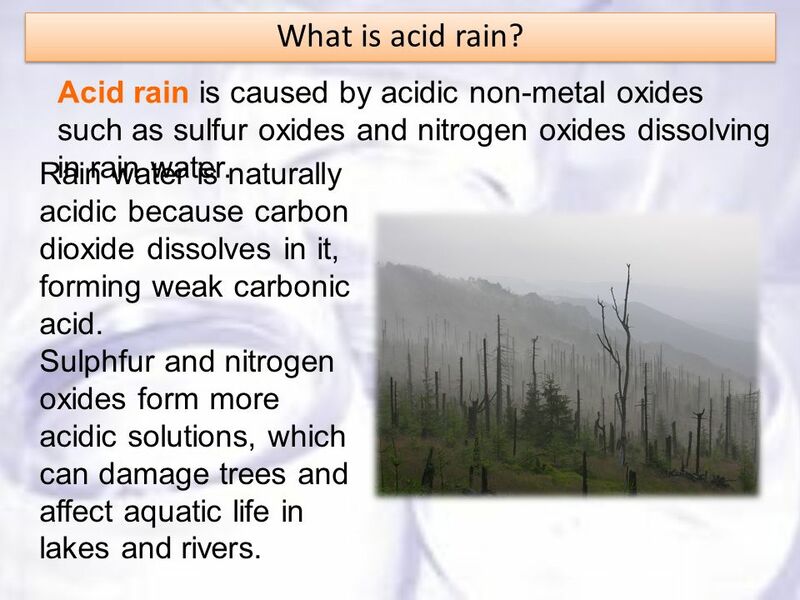 Acid rain is caused by acidic non-metal oxides such as sulfur oxides and nitrogen oxides dissolving in rain water. Rain water is naturally acidic because carbon dioxide dissolves in it, forming weak carbonic acid. Sulphfur and nitrogen oxides form more acidic solutions, which can damage trees and affect aquatic life in lakes and rivers. 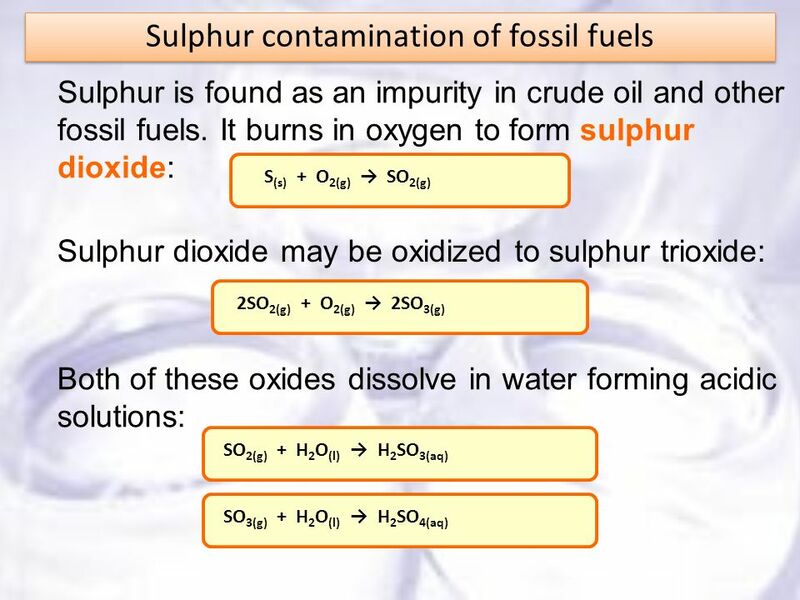 Sulphur dioxide emissions from vehicle fuels such as petrol and diesel are reduced by removing nearly all of the sulphur impurities from the fuel before it is burnt. 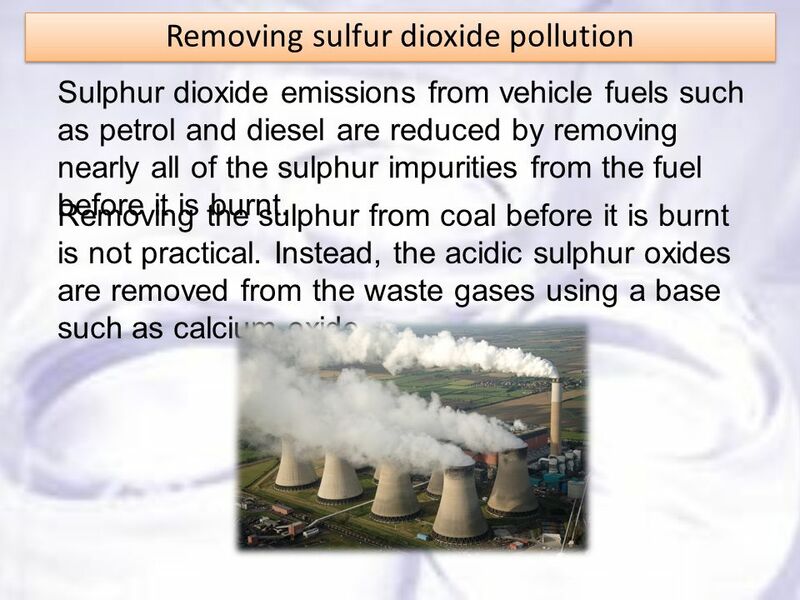 Removing the sulphur from coal before it is burnt is not practical. 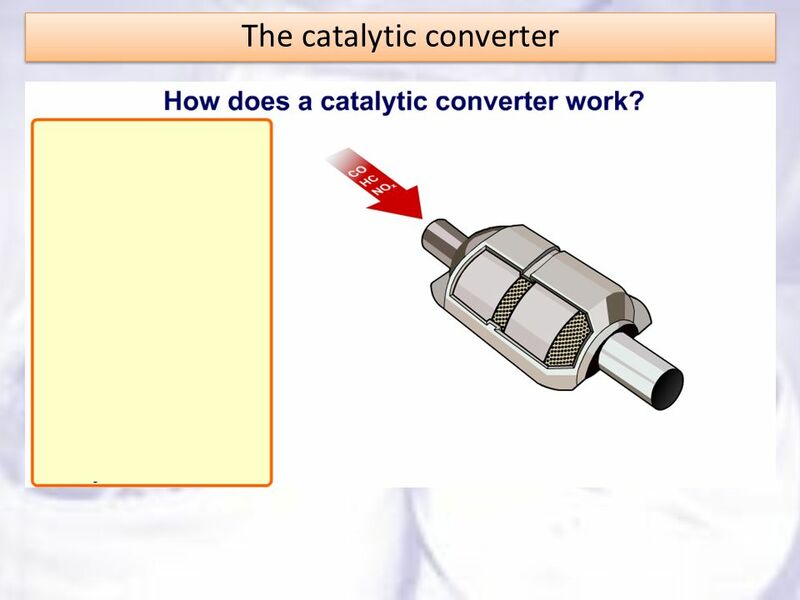 Instead, the acidic sulphur oxides are removed from the waste gases using a base such as calcium oxide. 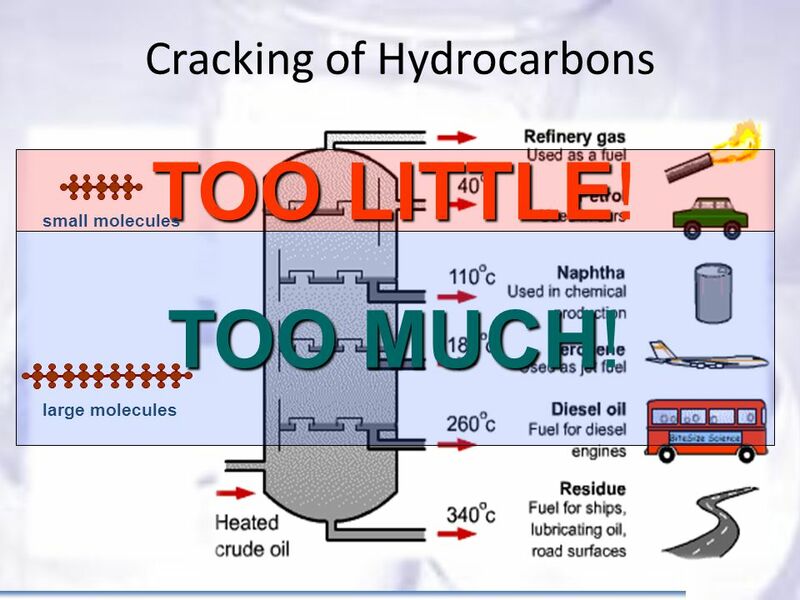 Burning fossil fuels releases carbon dioxide into the atmosphere. Fossil fuels are being burned faster than they are being formed, which means that their combustion leads to a net increase in the amount of atmospheric carbon dioxide. It has been suggested that increases in the amount of carbon dioxide and other greenhouse gases may be responsible for apparent changes to the climate. 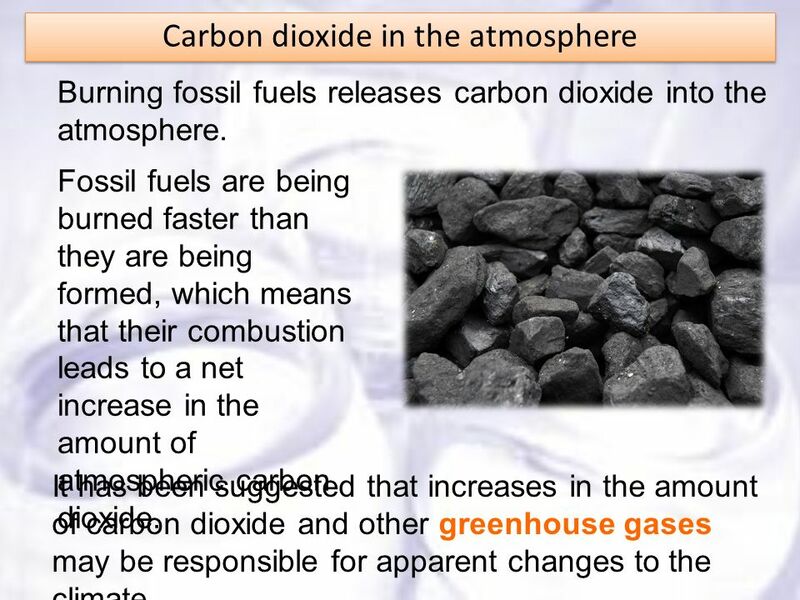 46 Greenhouse gases Carbon dioxide, water vapour and methane have been described as the main greenhouse gases. 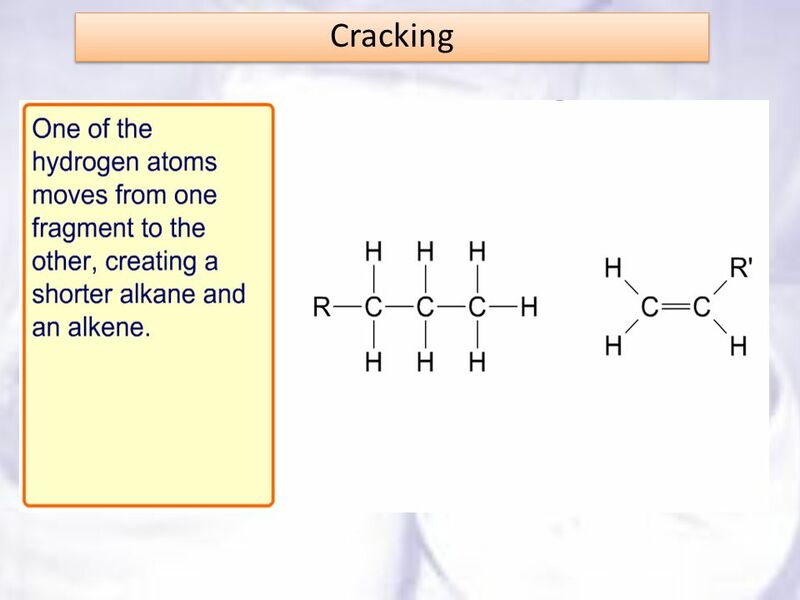 This is because these have been suggested as the gases responsible for the majority of the greenhouse effect. 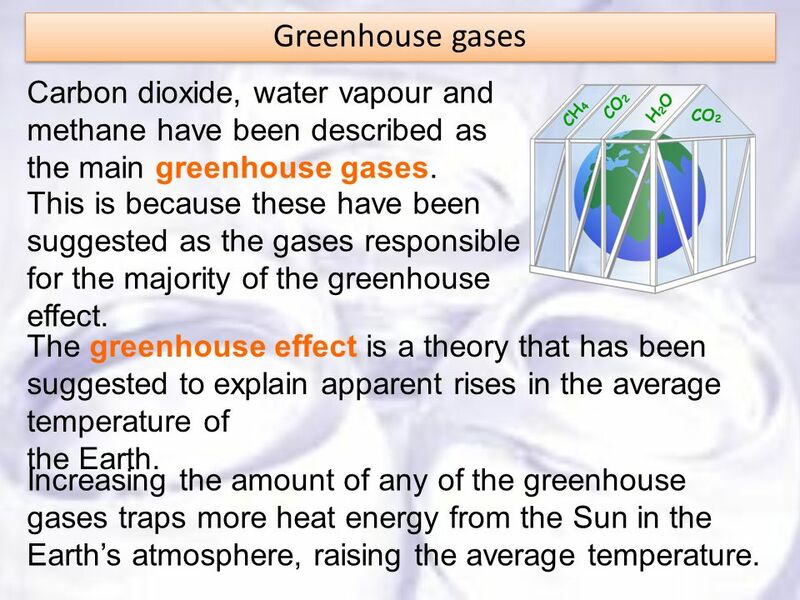 The greenhouse effect is a theory that has been suggested to explain apparent rises in the average temperature of the Earth. Increasing the amount of any of the greenhouse gases traps more heat energy from the Sun in the Earth’s atmosphere, raising the average temperature. 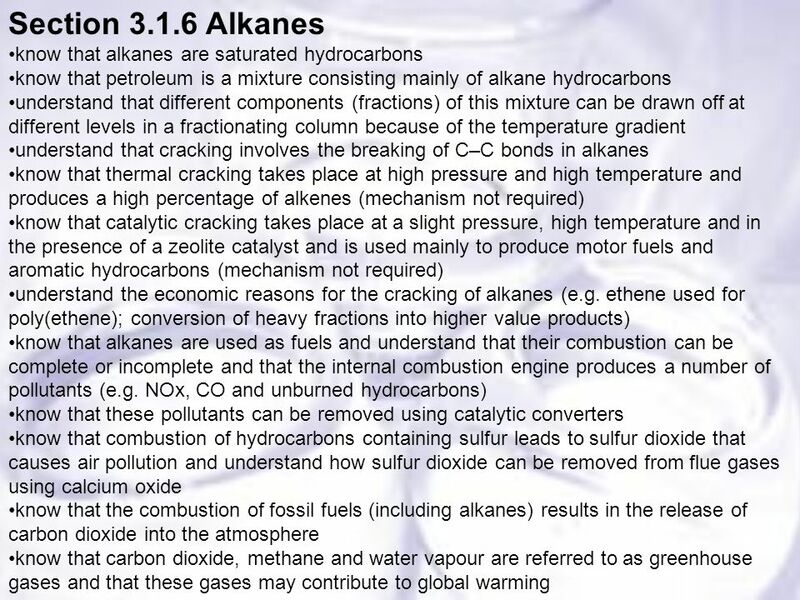 Download ppt "Section Alkanes know that alkanes are saturated hydrocarbons"
Fuels A Fuel is a substance that produces Energy when burned. 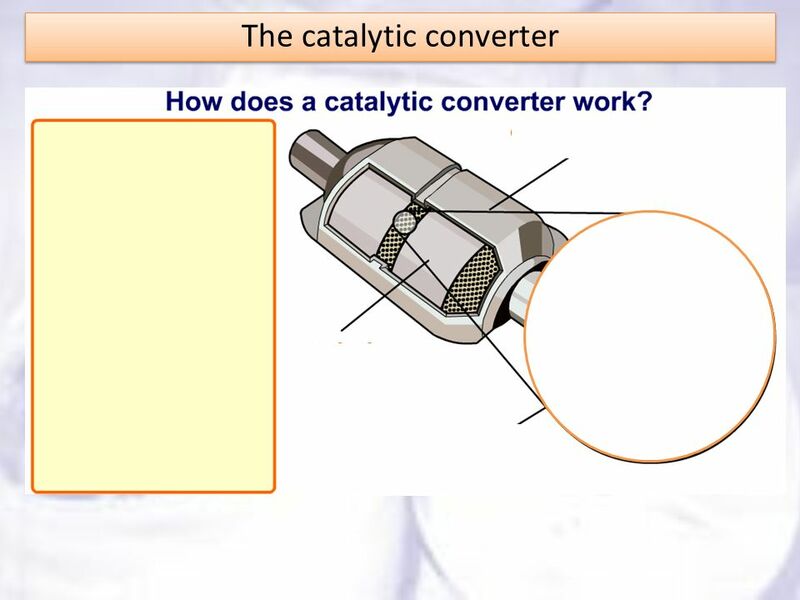 C1 – Air Quality Revision. 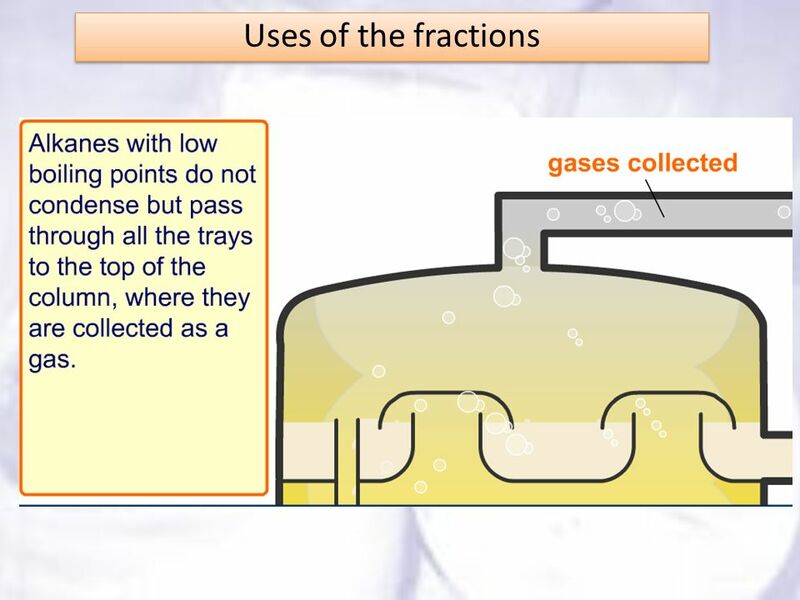 What are the Gases? 17/04/2015 The Earth’s Atmosphere Carbon dioxide, water vapourOxygenNitrogenNoble gases Present day atmosphere. 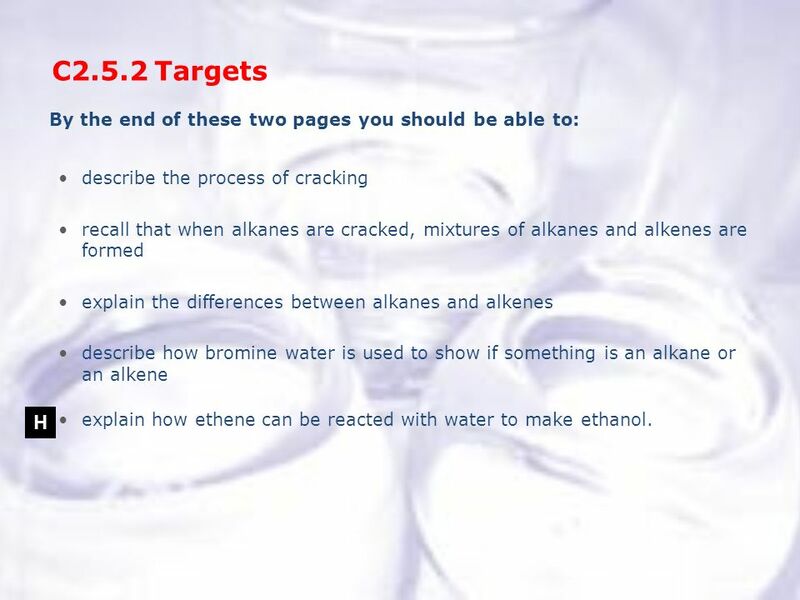 Standard Grade Revision Units 5 and 6 (a) A chemical which burns giving out energy. (b) Coal and natural gas. (c) Formed from dead sea animals. Remains. 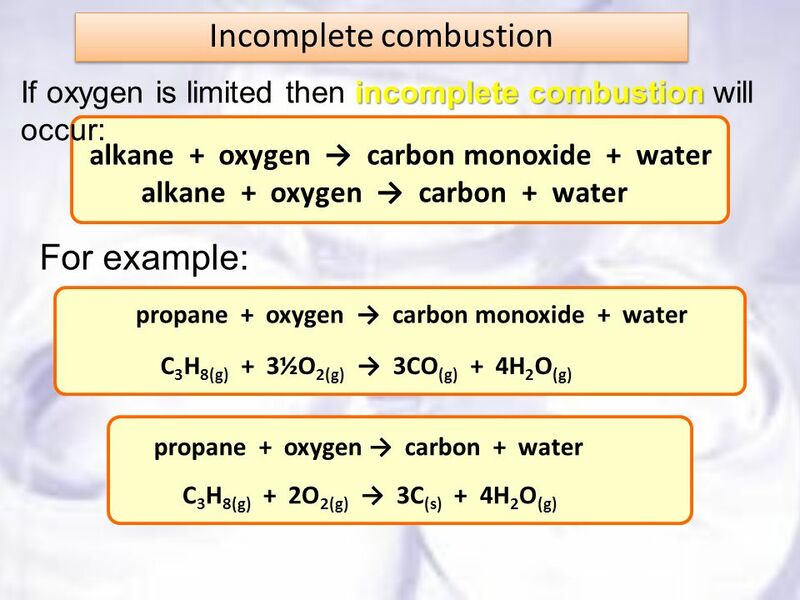 GCSE Core Chemistry Exam tip; You MUST be able to write equations for burning hydrocarbons. You should be able to write balanced symbol equations for the. 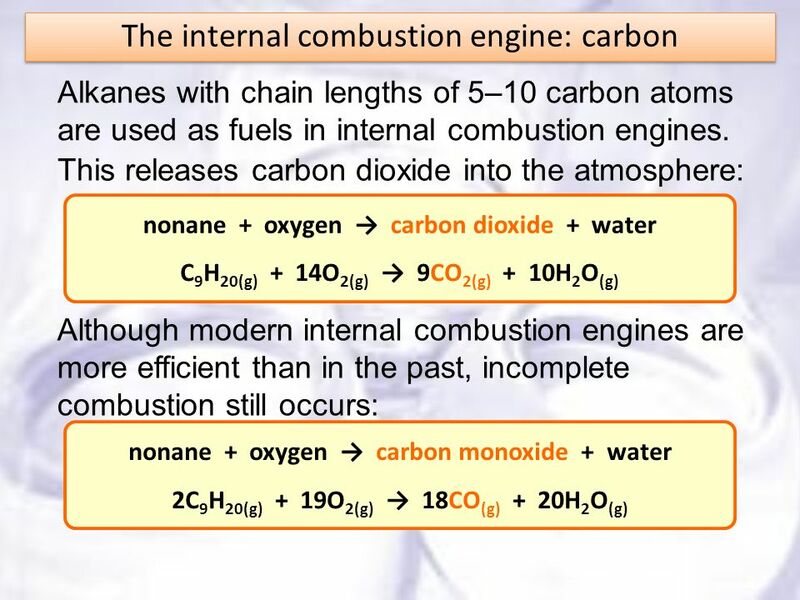 Combustion & Fossil Fuels Chapter Combustion (1.11) In combustion, a substance reacts rapidly with oxygen and releases energy. The energy may be. Post it Pollutants are dangerous chemicals in the air are called pollutants. 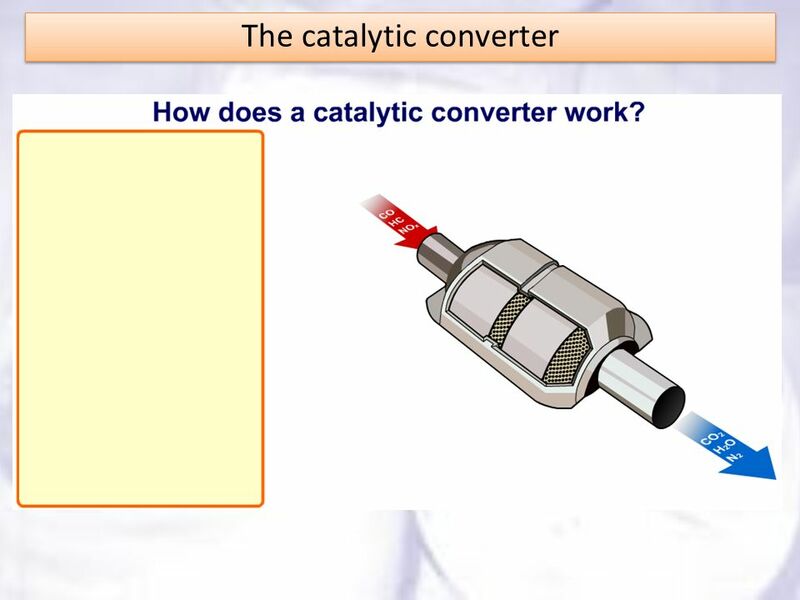 Name as many air pollutants as you can from last lesson. Extension: Circle. 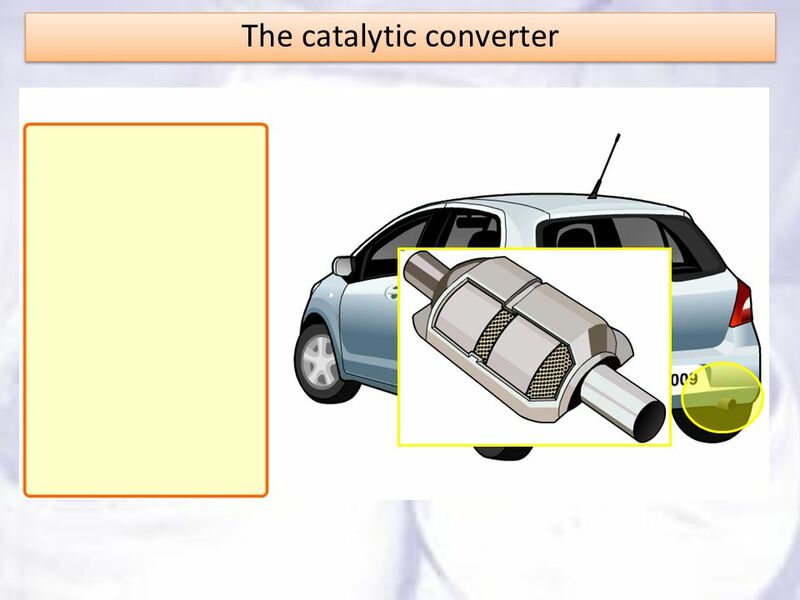 What are the origins and environmental implications of pollutants in car exhaust gases? 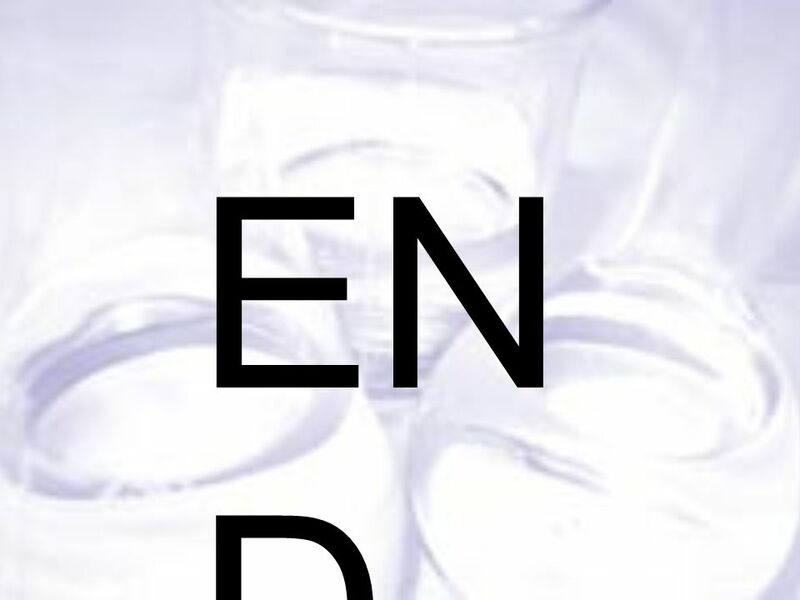 By Katie Dowler and Melissa WhiteBy Katie Dowler and Melissa White. 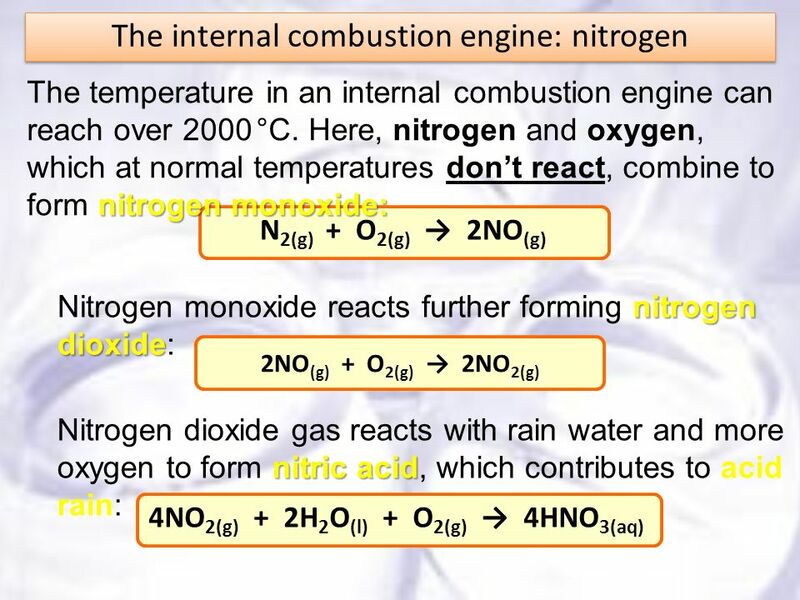 Even nitrogen and oxygen react at the high temperatures found in a car’s engine, making poisonous nitrogen oxides. These also cause acid rain as nitric. 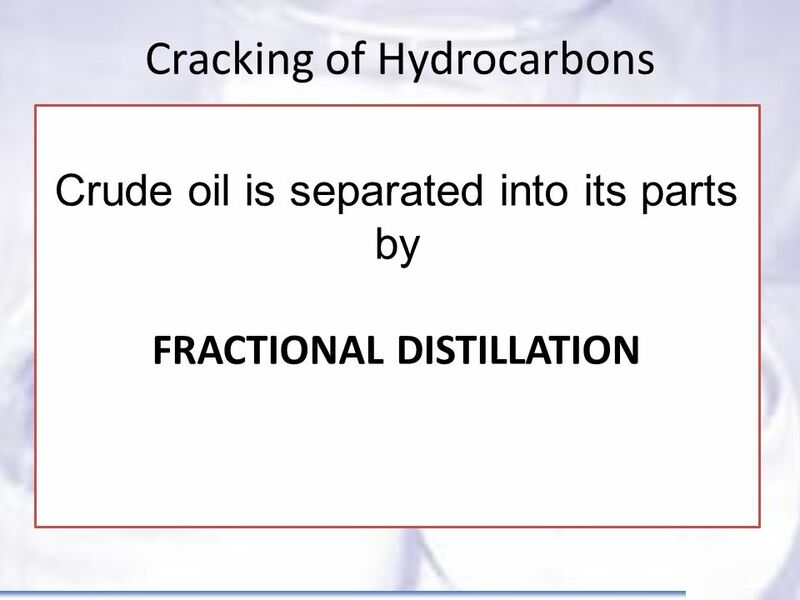 Fractional Distillation of Crude Oil Industrial Cracking Thermal Cracking Catalytic Cracking By Andrew Ingham.